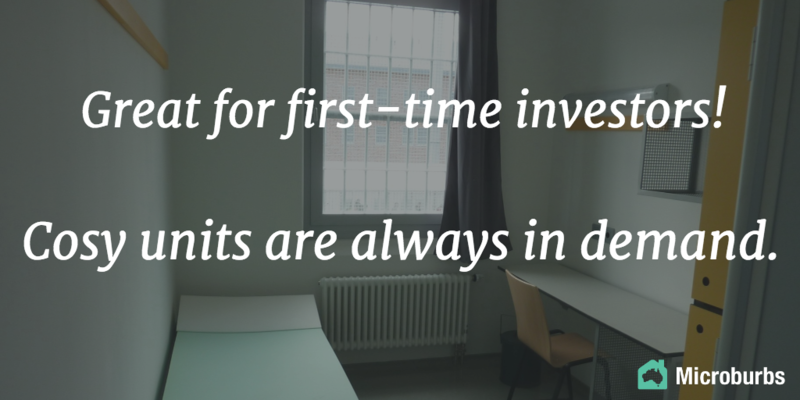 We’ve all seen the guides on what to remember going to a property inspection. But what about the flipside, how to be a stupid buyer? There’s so much stupidity out there, we’d be remiss in not covering it. 1. Ask yourself what you enjoy more: looking for a house or living in one? You can’t step into the same river twice. Likewise, you can’t count on being able to inspect the same house twice. Maybe it’ll take you many weeks to find the right place, but there’s nothing to say the houses you see will get better each week. For all you know, the first house you inspect could be the best you’ll ever get. Don’t let your dream home slip through your fingers just because you’re hell-bent on a 12 week inspection marathon. Do you want to live with that kind of regret for the rest of your life? You might find another house nearby but that dream home will always be there, rubbing your face in the lifestyle you missed out on. It would be like having a hot ex-girlfriend as a next door neighbour. Don’t go there. Awkward. To avoid lifelong pain and regret, be open to making an offer on the first place you inspect, because if you pass, there’s no going back. Sniff around for scent candles and let the aromatherapy do its work on you. Smells work on a powerful unconscious level. Let that calm, rested, homecoming state of mind define you as the agent guides you through the process right until you move in. Find out from the agent if now is a good time to get in the market. It often is! Residential property has two main phases; the growth cycle and the stall, or cooling cycle. Like a runner up a mountain, the market needs to occasionally cool down and re-energise for the next long uphill climb. If you’re in a growth cycle, it’s a great time to buy, as prices are moving up right now. If you’re in a cooling cycle, it’s a great time to buy because the market is going to tighten their laces and start on up that slope again at any moment. Also ask the agent if it’s a good time to sell. There’s a good chance it might be both! 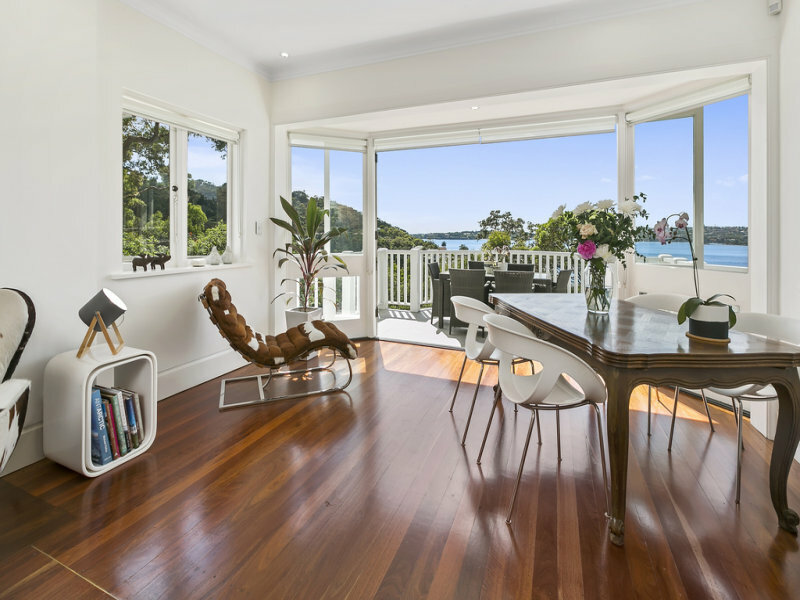 If it is one of those uniquely beautiful times in the property market, don’t hesitate, or the moment will pass. If the vendor just happened to have left Perrier out with a few glasses, you know a high status life awaits you. If it’s Champagne, you can deduce that every day will be a celebration of your new found wealth. Remember, if you include the value of the mortgage, you’re sort of about to be a millionaire! What’s the difference between a new house and a newly painted one? Not much! Beauty, as they say, is only skin-deep. If it’s been freshly painted, it’s even better because what’s under the paint – is more paint! Some negative skeptics say that fresh paint hides damp, cracks and termites but don’t be one of those people. If it looks great with a fresh coat of paint now, you can rest assured that all it will take to keep it in mint condition is another coat of paint. Real estate agents are among the most good looking of occupations, so your expectations should be high, particularly for the young junior agent who greets you at the door. Do be realistic that a senior female agent will have some wrinkles and perhaps signs of aging. This is the 21st century after all! As long as they use enough layers of beauty products and you can tell they would have been a catch when they were younger, give them a pass. But much higher standards should apply to the door girl. When a beautiful 19 year old girl ushers you in the front door, you know something good is going to happen. 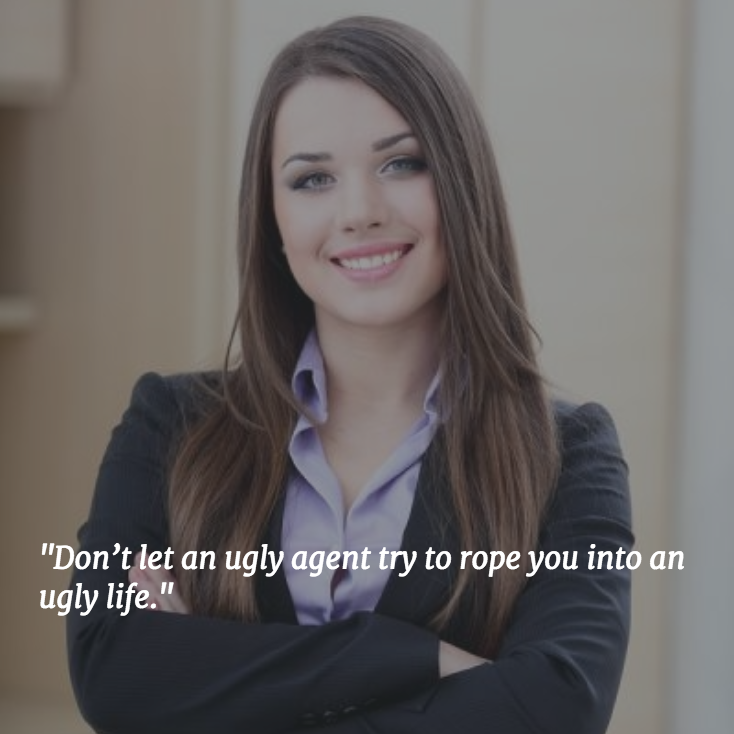 Studies show that attractive agents sell for higher prices and are thus more successful (like you), so don’t let an ugly agent try to rope you into an ugly life. This is the Australian property market. According to the latest CoreLogic reports, it’s worth $6.2 trillion. You’re playing with the big boys here. Are you the kind of person who says they’re 20c short at the local store when buying a bottle of milk? I would hope not, because if you are, you have no business being in the Australian property market. This new home is your big step up, so don’t blow it by letting the vendor sense a shred of fear or weakness. You’re a success, aren’t you? 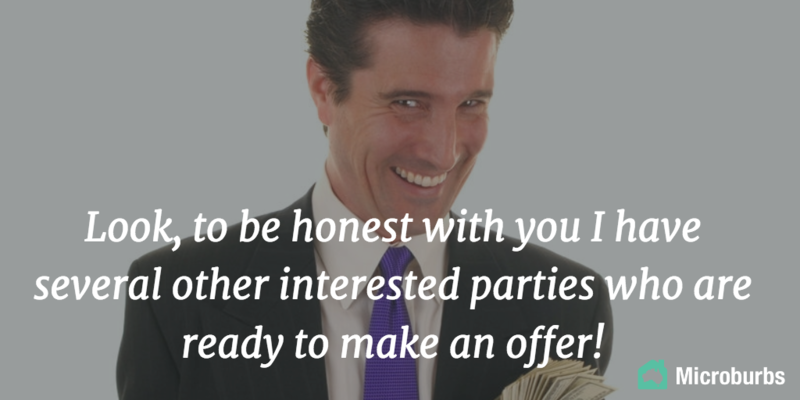 Keep face in negotiations by making them an offer they can’t refuse. 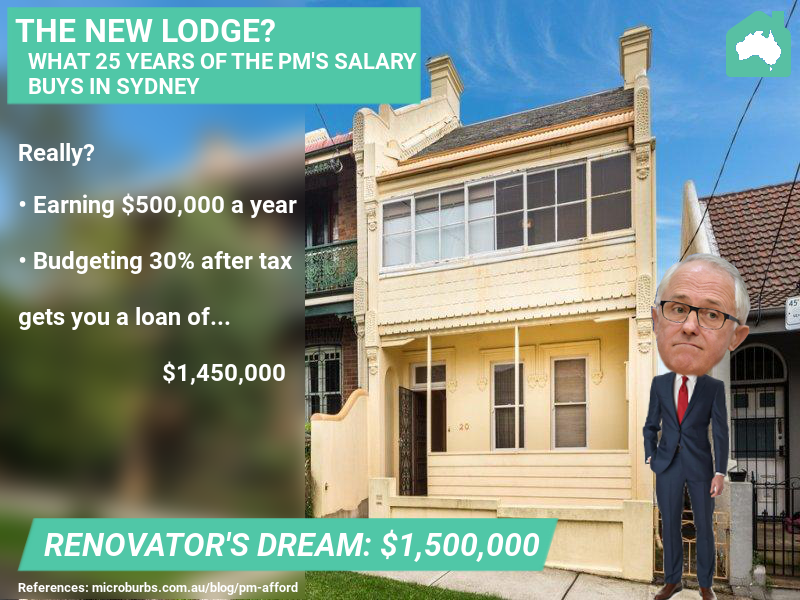 If you’re prepared to spend $950,000 (the November 2015 median house price in Sydney), then what difference does an extra $100,000 make? It’s not even worth mentioning. Remember the vendor has welcomed you into their home and even cleaned it up for you. 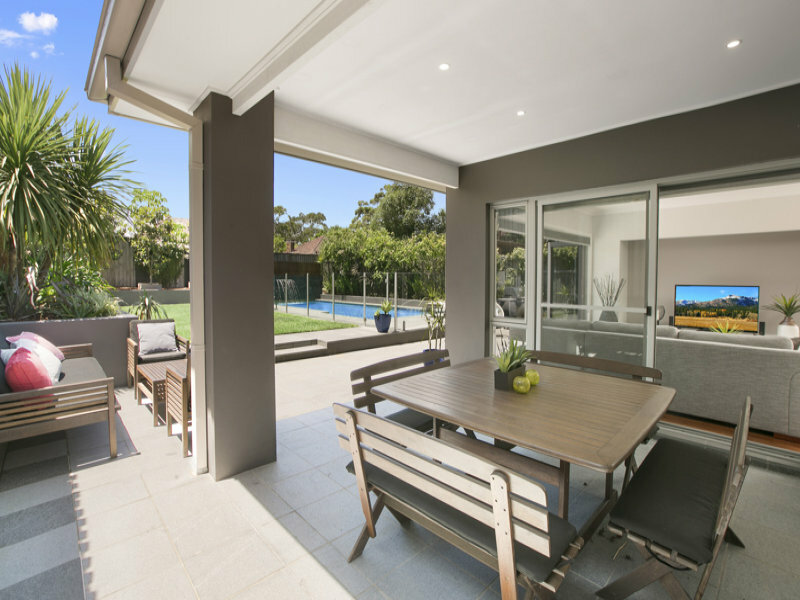 In a strong market, Australian suburbs might be increasing in value by thousands of dollars a week. To start haggling over price would be the height of rudeness. 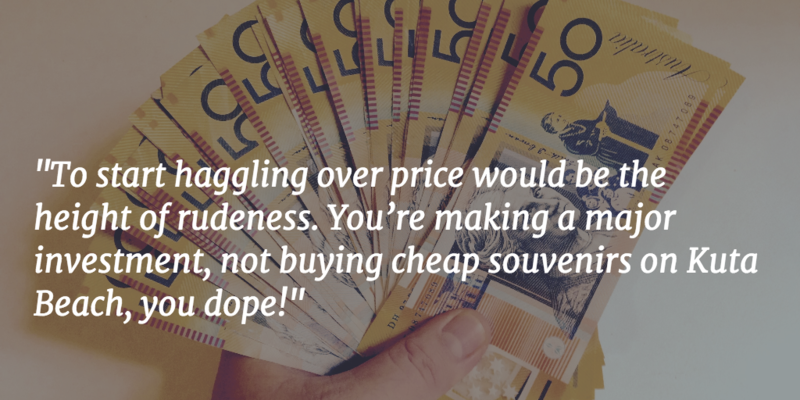 You’re making a major investment, not buying cheap souvenirs on Kuta Beach, you dope! Remember also that the price you paid for your house is an important status symbol. You don’t want to look like a cheapskate who bought a dud house for a bargain, do you? Don’t even try to lie, because sale prices are on the public record, easily found online these days. So always do the agent the courtesy of answering honestly when they ask if you want to buy the property. Look them in their beautiful blue eyes and say “I do”. Likely you aren’t the only one who will call this property home. Be sure to bring your partner and kids along with you to inspect the property as a family. Let your imaginations run wild as you move through the home imagining what your new life will be like. “This is my room mummy!” “Oh honey, we’ll sit here and watch the kids play on the lawn.” If your little daughter falls in love with the pink bedroom, who are you to destroy her dreams? What price is too high for a parent to pay for their child’s happiness? Don’t be self conscious about other people at the inspection. Besides, the place is practically yours. Make yourself at home! 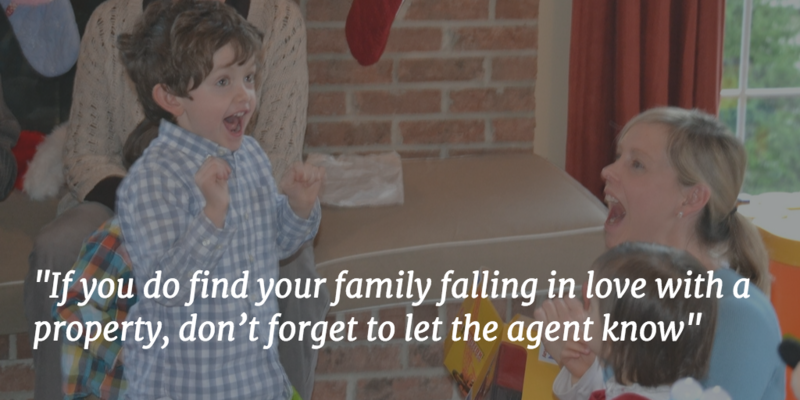 If you do find your family falling in love with a property, don’t forget to let the agent know, so they don’t accidentally accept a premature offer from some po-faced loner. 9. If you see loads of other buyers at the inspection, grab it quickly! 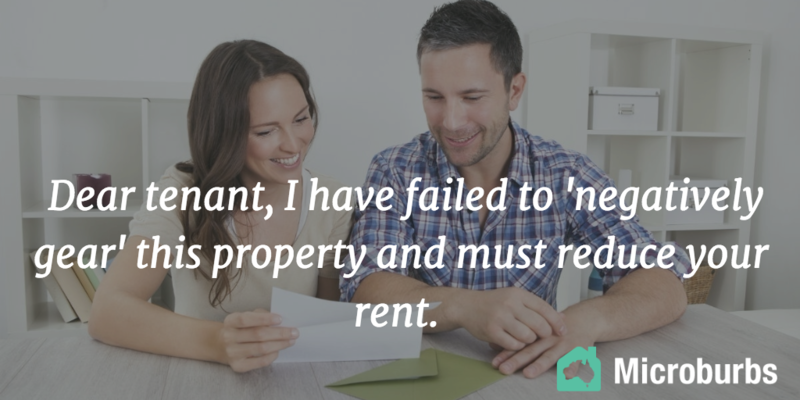 Remember, no one does property inspections for fun. Do you think they’re fun? Not even a next door neighbour would be nosy enough to attend an inspection. Obviously if they wanted to see a neighbour’s house they would be invited round for dinner as is customary! If there are one or two other people flitting between rooms, you might be ok – they might need some time to get their finances in order or just confirm with a partner. If there’s more than a couple of other people at the inspection though, it’s time to panic. If you like a place, move boldly with a strong offer, maybe slightly above the asking price. If some timewaster is troubling the agent with unimportant questions, feel free to interrupt them and make the offer right then and there. The agent is there to sell, and you’re there to buy, so get straight down to business! 10. And now for the big secret: 66W is your power play! There’s a secret weapon being wielded all over Sydney and Melbourne right now – the 66W Certificate. Every smart buyer uses it in every hot market, and let’s face it, everywhere in Australia right now it’s a great time to buy. Our government, in a misguided attempt to coddle indecisive or incompetent buyers, enforces a statutory mandatory cooling off period when buying a home. This law gives the buyers the right to back out even after they’ve made an offer. Although well intentioned, this wastes the time of the vendor and other serious buyers. You, on the other hand, as a self-assured soon-to-be-wealthy individual don’t need such a chicken-out clause. You know what you want and you’ve seen it. Be a considerate buyer and waive those statutory rights. First, show the vendor that you’re for real and won’t need a cooling off period. Take the “66W certificate” straight to the agent and lock in the good life before someone snatches it from you!